One of the questions that came up this morning after Verizon announced their new Share Everything data plans, was “How will corporate discounts work?” We now have the answer thanks to the document above. 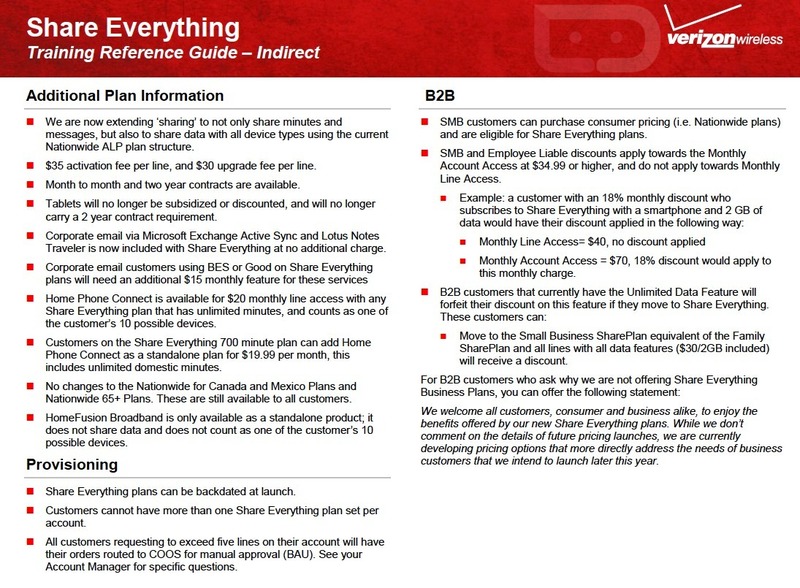 As you can see in the B2B section, Big Red will apply the corporate employee discounts to the Monthly Account Access portion of your bill and not the Monthly Line Access fee. 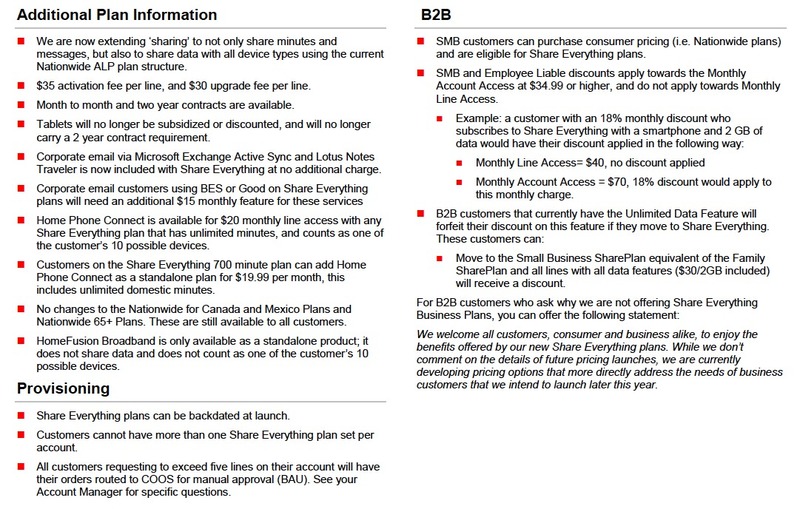 So basically that means that you get a discount off of your shared data package and not off of your individual device monthly fee. Another interesting note up there has to do with tablets. Verizon will no longer be subsidizing or discounting tablets, which makes sense since you can simply add on a tablet to your account for $10. What we will have to watch for now is whether or not full retail pricing of tablets comes down. I can’t imagine that many of you are interested in paying $900 for a XYBOARD. For additional details about these plans that we haven’t already covered, feel free to hit up this Google+ post.